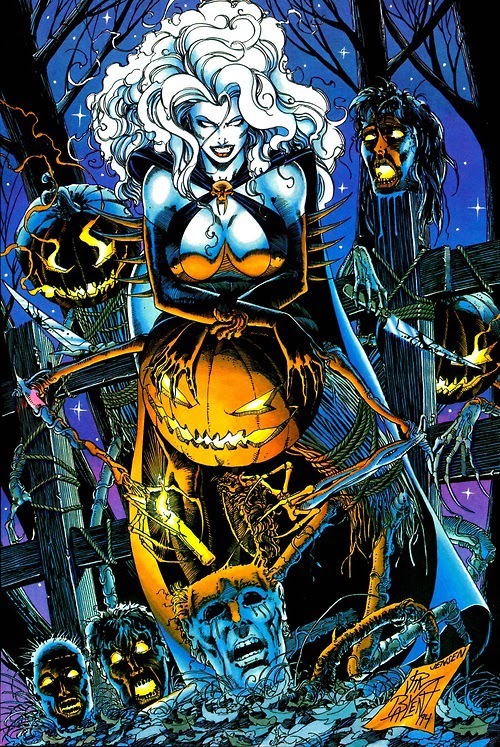 Catwoman's nine lives are nothing to those of Lady Death. The goddess first published by Eternity Comics has outlasted all her 90's indie 'Bad Girl' competitors by being the 'flagship' of Chaos! Comics, going medieval at the now defunct CrossGen and landing at Avatar Press where she now heads their Boundless imprint. 6) David Nakayama If there is one cover artist whose hit into the big time has been delayed, it is David Nakayama. Every cover he touched rivalled the work of Adam Hughes, and this image has become the first thing I think of whenever 'Vegas' is mentioned. Now that's a curse! 5) David Michael Beck Everyone from Joe Jusko to Julie Bell has painted this lethal lady, but no one took to the paintbrush with as many jaw-dropping results as David. Plus - and this is key, he kept the trademark hairstyle Steven Hughes branded his co-creation with in every stroke of the brush. 4) Mike Deodato Jr Ever wonder what title bridged Mike's Wonder Woman style with his darker art currently rocking Marvel? Lady Death. Vampirella and catfights were plentiful. Good times, good times. 3) Felipe Massafera The supernatural colours Felipe brings to any work he touches gave Lady Death a ghoulish glow each and every time. A strong respect for what had come before echoes through his work, making each piece even more powerful. 2) Steven Hughes She's his co-creation and you'll be hard pressed to go past the definitive look the late Steven Hughes set up for Lady Death. Her smirk, the over-the-top hair and that floss like outfit, all got defined first here. 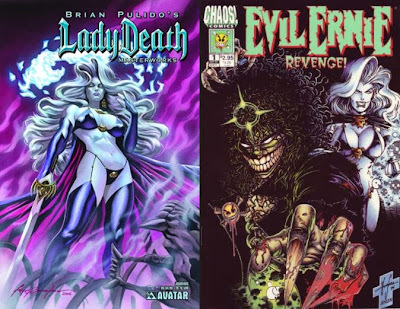 1) JIM BALENT Being one of the initial artists to step into the white-hot legacy left by Hughes, and tasked with keeping Lady Death 'white hot', Balent could have easily choked. Instead Jim brought the work of his career to the co-creator Brian Pullido's challenge, sharpening his Catwoman claws on the avatar of the afterlife, making decades of fans (and their dreams) in the process. What do you think? 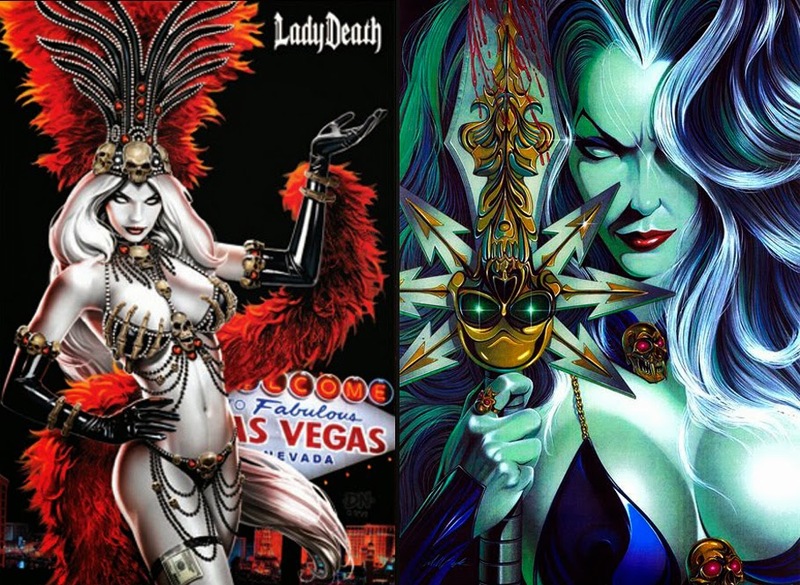 Who is your #1 Lady Death artist? 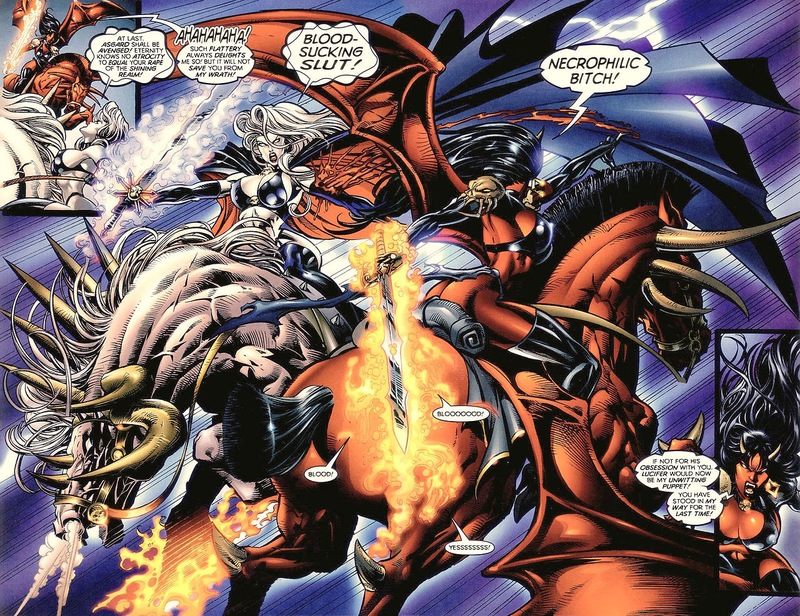 Jim Cheung? Ivan Reis? Dorian Cleavenger? Let me know!